If a child, a spouse, a life partner, business, or a parent depends on you and your income, you need insurance. Insurance planning plays a crucial role in your comprehensive financial plan. Because there are numerous risks that can wreak havoc with even the best laid plans; our job is to help you identify these risks and discuss ways to mitigate the risks. Proper risk management is vital to a successful financial plan and investment portfolio to help protect you against unexpected life events. With properly structured life, disability, long term care, and critical illness insurance, you can transfer the financial risk of uncontrollable events to a third party --- the insurance company. Although insurance is the answer for many risks, it is not always the answer. We will help you determine if insurance is necessary and, if so, how much insurance is needed to protect your wealth. The rising cost of health care is also a concern to many people. How can health care costs affect your ability to save hard-earned assets? What about health care costs not covered by traditional systems? The need for long-term custodial care might easily erode an entire lifetime of savings. From disability insurance to long-term care insurance and Medicare supplemental plans, we can help you make the right choices. Life insurance and long-term care insurance are two very personal and critical considerations of your overall retirement plan. It is imperative that these policies be coordinated with both your financial advisor and a qualified insurance professional. Simply buying long-term care or life insurance from an insurance salesperson could lead to the wrong types of policies for you and your family. Life insurance also has many uses in an estate plan, including estate liquidity, debt repayment, income replacement and wealth accumulation. There are many different types of policies to consider, at different price levels and policies can be owned in many ways. Proceeds from life insurance that are received by beneficiaries upon the death of the insured are generally income tax-free. 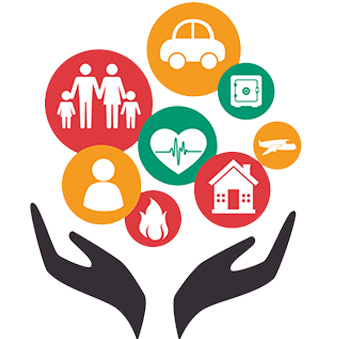 We at The Financial Mallhavegood amount of experience in this area and can help you determine the types of policies that are suitable for your Insurance planning needs. If a family is most important to you, you’ll protect them and yourself with appropriate Insurance.